She’s thought of everything. There are boxes of candles, hand-painted posters, a tube of glue, a printed vinyl banner, and strings to attach it to the gates of the old Assembly House. Even the media invites have been texted and whatsapped. I offer mine, glad to be of any use at all, and stand between her and the breeze as she plants candles one by one along the steps. I’ve always had serious issues with candlelight vigils. These are flames that leave no ashes, protests reduced to a gentrified farce, permitted precisely because they’re harmless, disrupt nothing and inconvenience no-one. Even the idea of a strictly-enforced time slot for a vigil within a designated protest zone – as if people’s oppression and the pillage of their planet somehow occurred within ‘allocated’ time slots and ‘designated’ zones – is a soulless abomination I associate only with the big city, where time is money and every square inch is real estate. I’d just been witness to the KSU’s fortieth-anniversary show-of-force in the streets of Shillong and didn’t want to pass up the chance for more action at close quarters, but looking at the handful that have gathered here to protest Poipynhun Majaw’s murder while life and commerce circle the roundabout at Police Bazaar uninterrupted, I’m beginning to think this is a travesty I could just as easily have endured back in Bangalore, with a pub to look forward to afterwards. 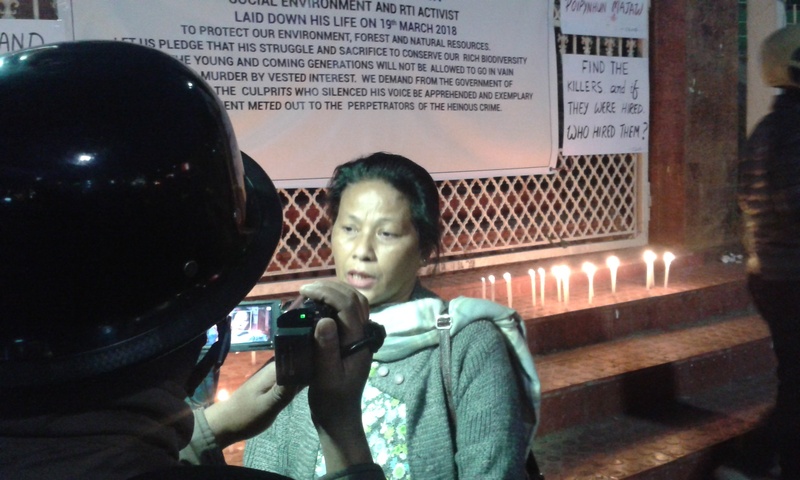 Kong Agnes speaks to the press at Poipynhun’s vigil four days after his murder in Khliehriat for questioning the misappropriation of funds by the JHADC and illegal limestone quarrying by cement plants. Now you better stay alive madam, I add in a lighter vein, you still have to file my RTI. “I’ll do my best.” We exchange a parting hug. Her hair smells of Shillong traffic. And that’s the last I remember of Kong Agnes. I head home. The Guardian estimates that every week, at least four environmental defenders are killed somewhere on the planet, agribusiness and mining being ‘the most deadly industries they go up against.’ In India alone, 68 have paid the price so far for asking questions under the Right To Information Act. Kong Agnes Kharshiing, Shillong, East Khasi Hills at her favourite haunt. Kong Agnes, who’d chuckled at my suggestion that she needs to stay alive, and her consort Amita Sangma came under a murderous mob attack barely a day’s ride east of Shillong in the Jaintia Hills, for “tracking down trucks transporting illegally mined coal.” The two were left for dead in the woods in Sohshrieh, not far from Khliehriat where Poipynhun’s battered body was found and whose murder still goes unsolved. Looking for a common thread linking the attacks on Poipynhun Majaw and Agnes Kharshiing, I find that while nine months, eight murders and ten kilometres separate these two scenes of crime, there’s even less distance between the previous Congress government in Meghalaya and the one that replaced it in March. This leads to the other common thread worth investigating: the trade-off between the ‘ease of doing business,’ a ‘favourable investment climate’ and ‘economic growth’ on one hand, and human rights, environmental protection and social justice on the other. Quite regardless of who forms the government, it is evident in these attacks that we can’t have one without sacrificing the other. But before we follow these threads, it’s useful to know how we got here. Many winters after it was placed on the map, turned red from the bloody run-off of Nellie, the Kopili river had turned acidic. The fruits of Meghalaya’s cottage industry of rat-hole coal-mining had soured the Kopili at its very source, a vast network of lakes at Umrangso (once Garampani) on the state’s eastern border with Assam, killing fish and other riverine life far downstream. It was so soured, in actual fact, that corrosion of underwater metal parts at the Lower Kopili Hydroelectric Project was leading to constant outages and (they hadn’t costed for this) the parts would have to be lined with reinforced stainless steel, thus contributing to a doubling of the project’s cost per unit of installed capacity. Crossing the Kopili at its soured source: the Lower Kopili Hydroelectric Project. The corrosion of underwater metal parts of the dam machinery has led to so many breakdowns, the parts need to be lined with reinforced stainless steel. 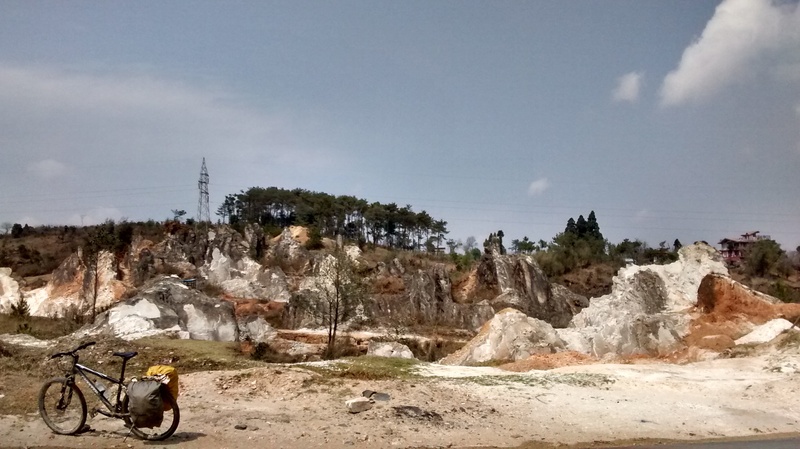 Quarrying just an hour upstream of the Kopili dam reservoir, West Jaintia Hills. It’s what turned the Kopili acidic. There was also the small matter that miners involved in the rat-hole mining were frequently minors, some 70,000 of them back in the day, and some of them children as young as five, not a single one with safety gear. Many were trafficked. Countless never made it out alive. 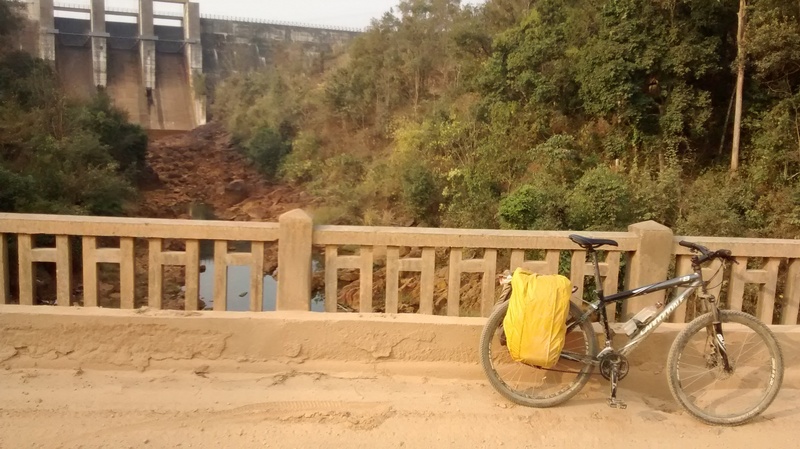 Finally, in response to a petition filed by a local human rights watchdog and a student group representing communities downstream, the National Green Tribunal banned rat-hole coal mining in Meghalaya in April 2014. This ban predictably came as a big blow to the state, where coal mining had long been the No.1 revenue generator, and put those involved in it (over half a million by one estimate) out of work overnight. In a brief reprieve, the NGT let the mining companies dispose of coal already extracted, which meant that overground stocks could be sold and transported within six weeks upon paying a royalty, while the state government came up with a framework on safe and scientific mining. Rather than use this opportunity to imagine how Meghalaya’s fossil-fuel based economy could be retooled into one that prospers through climate mitigation, the Congress government of the day chose to cheat the ban. The new ‘scientific mining’ policy never materialised, the illegal extraction of coal continued with reckless abandon, and the court kept granting extensions for its transportation. Between 2014 and now, there have been at least 477 reported cases of violations, with only two trucks seized to date and no arrests made. All this goes on with the collusion of the police and the local administration, of course, while the coal traders claim it’s all business as usual. All the NGT ban did to rat-hole mining, in a sense, was drive it underground. On my way out I rode past trucks with ‘coal already extracted’, trundling in queues many kilometres long as they headed from Baghmara, Shallang, Chokpot and Williamnagar in Meghalaya to Goalpara in Assam, from where their illicit load would journey by railroad to the rest of the country. Between Nangal and Goalpara, each would pay Rupees 30,000 to 55,000 as ‘tax’ to various authorities, although with few receipts ever issued it’s probably safer to call these bribes. It was while tracking down trucks just like these that Kong Agnes and Amita Sangma very nearly paid with their lives. 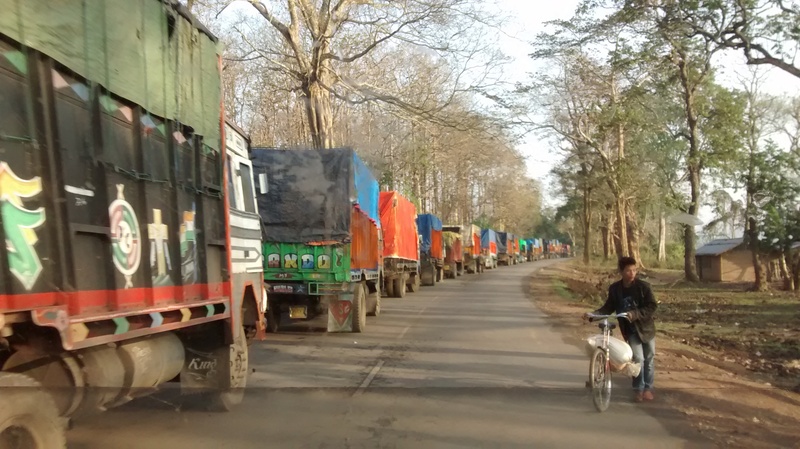 Trucks in North Garo Hills transporting coal to the railhead in Goalpara, Assam. That their ‘sacrifice’ is necessary to the cause of ‘development’ – and acceptable to all dispensations that declare allegiance to its flag – is borne out by the fact that across the rest of the country too, wherever the needs of industry come in conflict with communities or the environment, the brutal muzzling of RTI activists has continued unchecked, with only one conviction handed down till today in anyone’s death. These aren’t some off-script improvisations gone wrong, like a dismemberment in a Saudi embassy, but very much part of the performance. You’d recall that the Congress government wanted the NGT ban lifted from day one itself. Vincent Pala, the party’s MP from Shillong and a coal trader by profession, worked tirelessly to water down the Mines and Minerals (Development and Regulation) Amendment Bill, 2015. 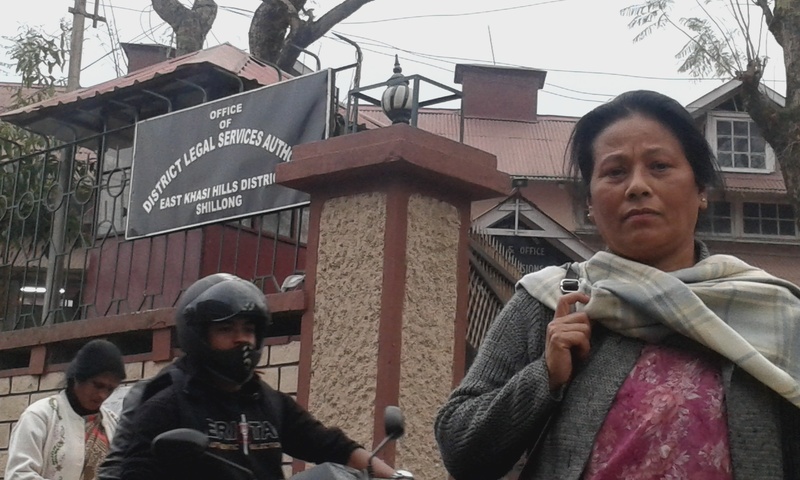 Former Chief Minister Mukul Sangma also lobbied hard with the central government to have the ban revoked on grounds that it violates tribal law and is against the interests of Meghalaya’s indigenous people. In half a dozen letters to New Delhi seeking this rollback, he would somehow forget to disclose that his wife owns six coalmines of her own. In what is a clear case of Butskellism (a situation where there’s not a lot of daylight between the economic policies of one political party and those of its opposition) the NPP-BJP government he formed subsequently displays an equally missionary zeal in getting the NGT ban lifted. The resemblance is striking in other ways. 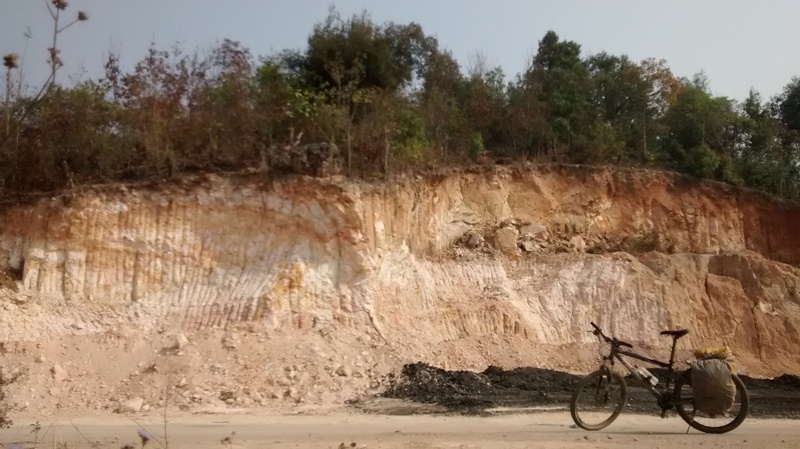 Both Congress and the NPP-BJP have shown great enthusiasm for ‘scientific mining.’ An oddity conceived initially by the NGT and received once with deep suspicion, it is now welcomed as a misnomer for large-scale mechanised mining, essentially a hand-over of various ‘unregulated’ environmental crimes and rights violations to more ‘professional’ corporations or the state. Some of it is already underway: you can tell the ‘scientific’ mines by their use of dynamite and excavators. Both parties have professed much love for Meghalaya’s growth. Both have a grossly inadequate measure for it: the Gross Domestic Product. And both believe ecology and human rights are an impediment to jacking it up. By all appearances both Sangmas, Mukul and Conrad, are equal and unequivocal champions of the neoliberal order. There is but one distinction: now the gloves are off. 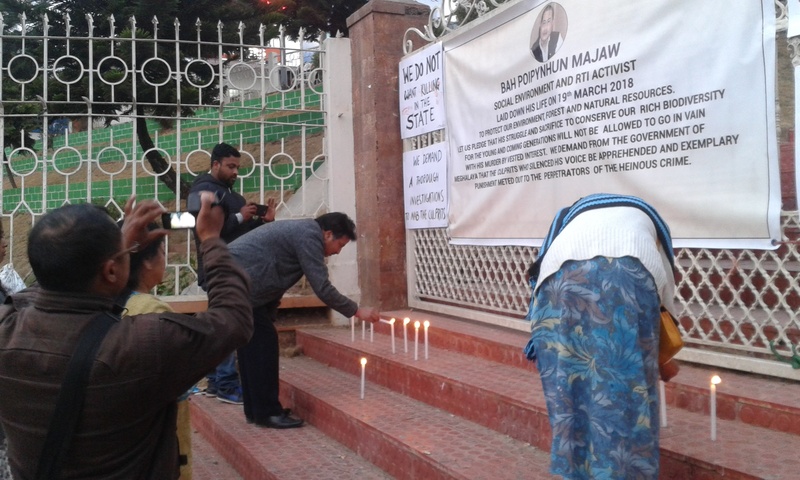 Poipynhun Majaw was killed on Conrad Sangma’s watch, just a fortnight after the NPP-BJP formed the government. Up until that time the punishment for filing RTIs in Meghalaya had been excommunication from the tribe. That changed with Poipynhun’s murder. Clearly, asking questions is not within the new terms of reference. By not finding and punishing his killers even after nine months, the new bosses appear to have given a clear signal to those engaged in mining operations across Meghalaya: you have a free hand, and activists are fair game. This inaction is what made the daylight assault on Kong Agnes and Amita even imaginable. There are suggestions that rather than a novelty, these attacks under the NPP-BJP’s noses are in keeping with the larger institutional attack on transparency and accountability over the past four years. These suggestions are correct. Since the BJP took over at the Centre, there has been a drastic increase in “the number of instances where RTI applications were rejected and information was denied” as well as “the level of dissatisfaction with the information provided.” This has been accompanied by a marked reduction in “the penalties imposed on PIOs (public information officers) for not furnishing relevant information.” In addition, the Information Commissions have been deliberately underfunded and understaffed, and reduced to “geriatric retreats” according to the Commonwealth Human Rights Initiative. As a means of intimidation, the number of false and frivolous cases lodged against RTI activists too has increased. Kong Agnes has more than a few filed against her. Maharashtra, with 41,537 applications pending before its ‘acting’ State Chief Information Commissioner (they find it improper to appoint one full-time) and the highest number of those killed while seeking answers under the RTI, has now launched a ‘mine tourism’ package in a partnership between the state’s tourism department and Western Coalfields Ltd. One ought to put it to them that their tours are only truly immersive if they include hands-on assaults on RTI activists along the way. Two birds with one stone, if they can see it. This violence and intimidation, the opacity and unaccountability, the systemic suppression of truth are just as essential to the day-to-day working of the neoliberal project, as the narratives created to support it, the smoke and mirrors, the blatant myth-making through oft-repeated untruths, for only in a climate of lies can such ideas of greed and selfishness – rather than co-operation and solidarity – thrive among free people. ossil fuels require sacrifice zones: they always have. And you can’t have a system built on sacrificial places and sacrificial people unless intellectual theories that justify their sacrifice exist and persist: from Manifest Destiny to Terra Nullius to Orientalism, from backward hillbillies to backward Indians. From the floor of the legislature to the blows of the mob, the plaintive invocations of the tribal rights of indigenous people and their rightful concerns for “ja pliang” (a plate of rice, or livelihood) aren’t so much a nativist inversion or co-optation of such intellectual theories as they are a ruse. The benefits of coal-mining in Meghalaya have always accrued along class lines and remain concentrated in the hands of a powerful elite. Only the crumbs fall to the floor. The corollary, that great crimes against the planet and people’s bodies are somehow acceptable as long as they provide work – as if any economic benefits could justify the death of a malnourished dkhar kid a hundred feet down a rat-hole, the tribal reduced to a tour guide at the Statue of Unity built on land stolen from her, the JCB operator hired to clear out his own people – is just plain wrong, if not outright repulsive. You must find some other term for it, but the coerced collaboration of those you exploit cannot be ‘job creation.’ Livelihoods might be inseparable from the right to life, but they do not take primacy over it. Also afoot, and abreast with the mythologizing of Meghalaya’s tribal rights, is the purposeful erasure from the public discourse of any actual alternatives to this extractive, predatory, pathologically unequal order we’ve let loose among us. And there are a few. From the takeover of Argentina’s bankrupt businesses by workers of the Fábrica Sin Patrones movement to the takeover of Darjeeling’s locked-down tea gardens by workers of the Chaaybagan Sangram Samity. From Pembilai Orumai’s victory over company, government and patriarchy in the hills of Munnar, to the public referendum that blocked a 13-billion-dollar airport coming up on a lakebed in Mexico. From the AAP’s investments in public infrastructure and education in Delhi to the LDF’s achievements in healthcare and population control in Kerala. From the peaceful resolution of insurgency in Tripura to the 100% organic certification of Sikkim. These alternatives not only exist but are so threatening to the current order that they must be kept well hidden. None of these accounts make the front pages or the prime time, lest they serve as a model for the path to social justice and the recovery of your commons. Perhaps this explains the incredulity when I ask why you can’t move back to Ri Raid, or communal ownership of the land, so everyone benefits from it and not just those with coal under theirs. Is it really unthinkable that this state’s indigenous people could earn their ja pliang from climate mitigation, adopting decentralised renewable energy, rather than through their copious contribution to climate change? Could there be a future for Meghalaya where Poipynhun, Agnes and Amita are not the going price for coal? You have those answers. The alternative blueprints. The script for the morning after the revolution. It’s not my place to write prescriptions for a people I only have to cycle past. All I know is that infinite greed is not compatible with a finite planet – Bangalore, with all its lakes built over and aquifers pumped out, is running dry in two years. As for the rest of us, hippies and hungry activists, poets and painters, film-makers and photographers, urban naxals and anti-nationals, fighting daily to salvage our language from the meanings and meaninglessness endlessly visited upon it, how are we to respond to all of this? I’ve held my breath for four weeks waiting for the KSU to say something, anything, about the assault on Kong Agnes and Amita Sangma. Once facing down the might of this nation in the struggle to end uranium mining in Meghalaya, and standing up to every tribe in its fight for an end to the timber trade, this influential pressure group is now content with being an unwitting footsoldier for someone else’s subnationalism: it has the means, manpower and energy to set up checkpoints along every border road to turn back ‘illegal migrants’ from Assam, but has been helpless in stopping a single coal truck in these four years since the NGT ban. While the KSU made a lukewarm statement on this attack, the usual suspects have visited Kong Agnes and Amita with their platitudes: Governor Tathagata Roy (RSS Swayamsevak since 1986, BJP’s constitutional hit-man in Meghalaya, and master of ceremonies at fascism’s prodigious love-in with the free-market), as well as CM Conrad Sangma and former CM Mukul Sangma. Their mealy-mouthed calls for stern action against the ‘coal mafia’ would actually mean something if it weren’t widely-accepted across the state that – notwithstanding the plausible deniability that separates the deals they strike in Shillong from the mob that strikes in Sohshrieh – this bunch is the coal mafia, and a perfect gathering perhaps to test that stern action. Even our pushback to neoliberalism, indeed to the general rightward lurch of our times, if it is to happen without bloodshed, must realise itself within this thoroughly compromised system – the lawmakers, the bureaucracy, the police, the courts – for we know that the change we seek can only come by strengthening our institutions, not abandoning them. Really, our options are frightfully limited within the democratic setup, and even as we push against it to mould it in our image, so do others: if events in other resource-rich tracts of the country are any indication, these attacks on Poipynhun, Kong Agnes and Amita are but trial balloons of the fascist-freemarket forces testing the outer limits of how far they can go within that same democratic setup. Only a popular backlash can remind them that they’ve come too far. Through all our art, our films, our writing, our music, we must encourage such a popular backlash. It is our only hope. And it can only happen with a consolidation of the liberal-left-progressive forces at play today – from the #MeToo and gender equity struggles to the fight for Dalit and Adivasi rights, from environmental activists and human rights defenders to labour movements and the antifa – for our oppressor is one in the day and another at night, and we can only defeat it if ‘unlike-minded’ people also join us in our fight, shoulder to shoulder when possible, and back to back when necessary. There are some who hide bravely behind the internet and justify these attacks, to say nothing of lauding them. For you, dear troll, Kong Agnes would have nothing but sympathy. Poipynhun, Agnes and Amita are not the sources of your oppression. Those lie in a self-serving system that reinforces the myth (once through television, now over whatsapp) that coal belongs to any kind of future rather than the past, when over half the world’s coal power plants are already running at a loss and renewable continues to be the cheapest energy on the planet. They lie in accepting a false binary: the lesser of two evils, and the freedom you have in choosing between bad and worse, while settling for livelihoods chucked like morsels from the high table, suppressing wild thoughts of whether there are more just, equitable and dignified ways of making a living. They lie most of all in your reluctance to consider that alternatives to that false binary exist, that another world – with a more just society, a more equitable economic system, a more participatory politics – isn’t just possible, it’s been prototyped. Folks like Poipynhun and Kong Agnes, and the eight RTI activists murdered between them, are merely the ‘first responders’ to a commons in crisis, stepping in to do the work the state is often unable and frequently unwilling to do, and they’re silenced not least because they bring us to question the fundamental nature of the state itself.It is thankless, tiring, underpaid work, against great odds, usually in cramped quarters – filing RTI applications on behalf of the poor and illiterate, seeking transparency in infrastructure spending, ensuring compensation and rehabilitation for the displaced, securing basic rights for the dispossessed and, through all this work, interrogating our ideas of development and progress. I’m not suggesting you worship them. I’m just saying if you can’t lend a hand, please get out of the way. PS: as for you, Kong Agnes, you’ve come back at a very good time. I’ve been worried about the status of my RTI application, of course, but the pushback to the fascist-freemarket bunch that have hijacked our beautiful country is also about to get very interesting, like a powderkeg waiting to be lit. I hope you’ll remember matches this time. 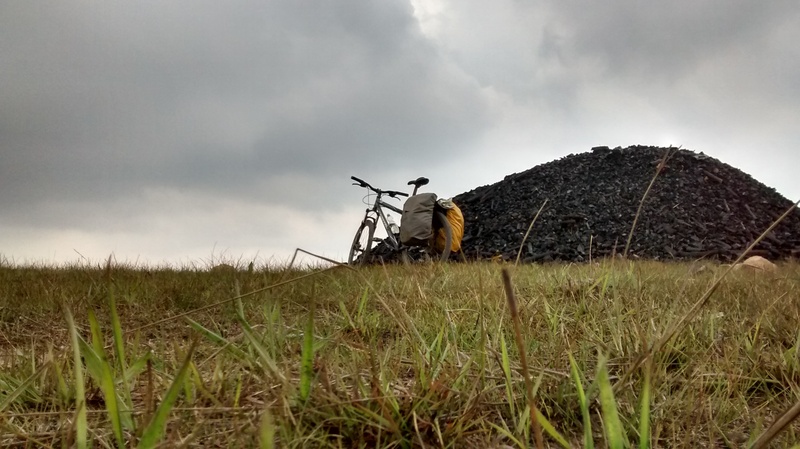 Extracted coal somewhere around Umdohlun, South-West Khasi Hills. After two post-war chancellors of the UK exchequer: Butler (Tory) and Gaitskell (Labour). See pg 28, Penguin Dictionary Of Politics, 1984 edition.